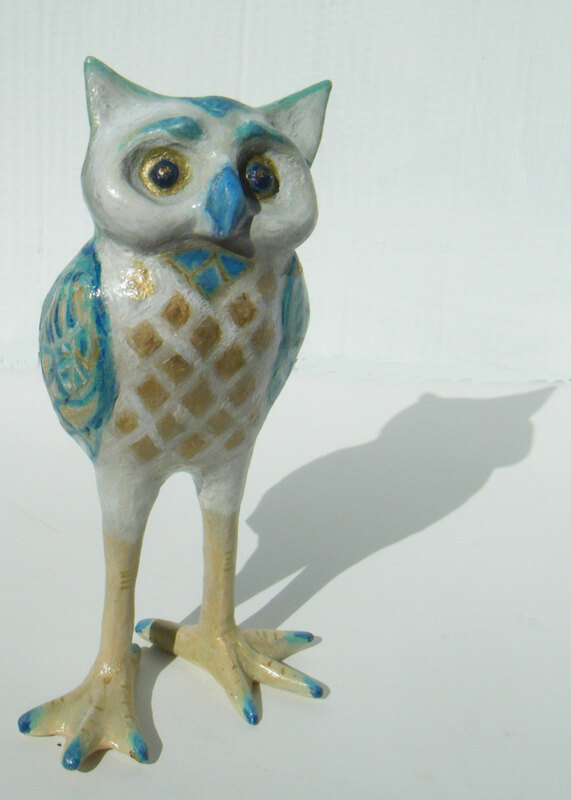 Earnest is the most recent addtion in a line of owls that started with a commission simply called “Owl”, who has owlish glass eyes. A pair of barn owls settled into a good home this winter and last month, Officious Owl crossed the pond to live with a lovely couple in quaint village outside London. (Seems fitting for all those Harry Potter fans.) I don’t think I’ll ever get over my owl obsession. I would love for them all to leave the nest to make room for more owls. 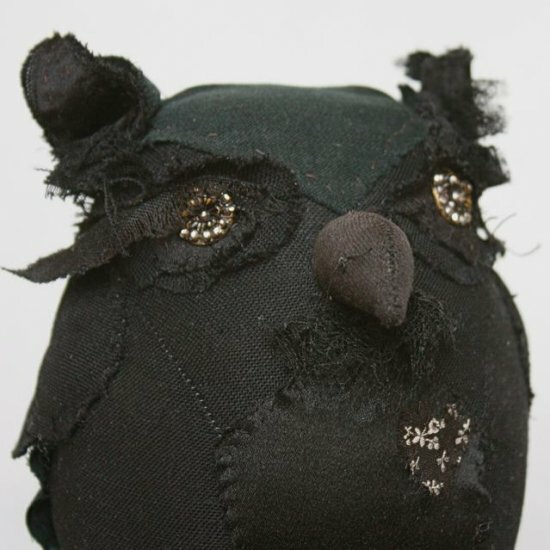 Check out a master owl maker, Ann Woods, who constructs her creations from vintage fabrics. Her owls are *all* attitude. Ann was included in a fabulous book called The New Artisans, which highlights artistic work from crafts people around the world.